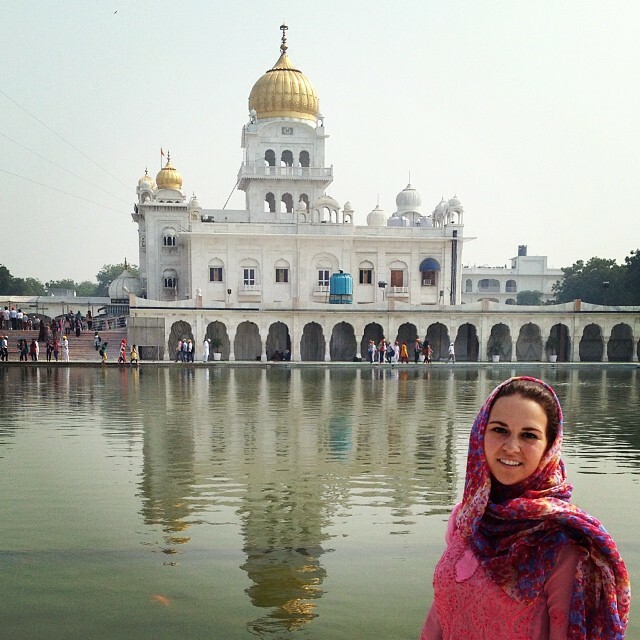 After learning more about Sikhism in our morning session, we put our teachings into action and visited the Gurudwara Bangla Sahib; the temple that was shown in the movie Amu. 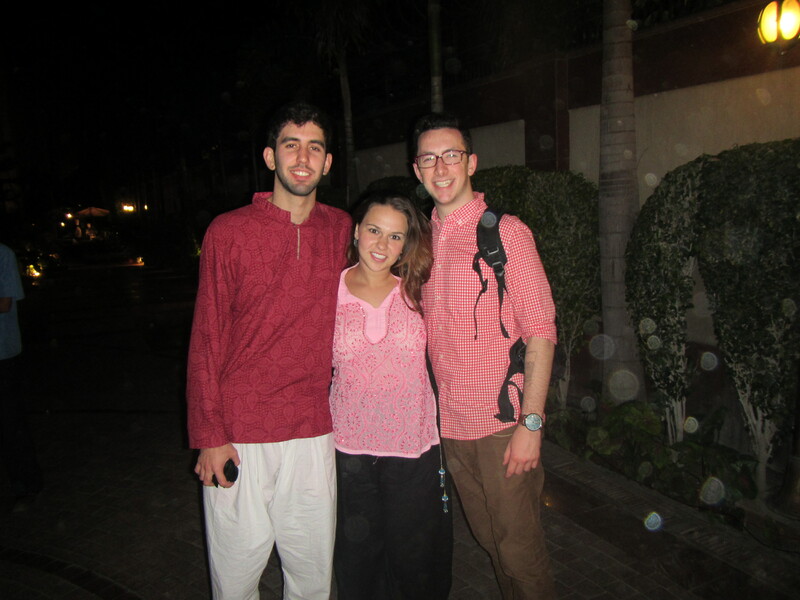 When we arrived at the temple, after taking off our shoes, we crossed the flowing water to cleanse our feet. 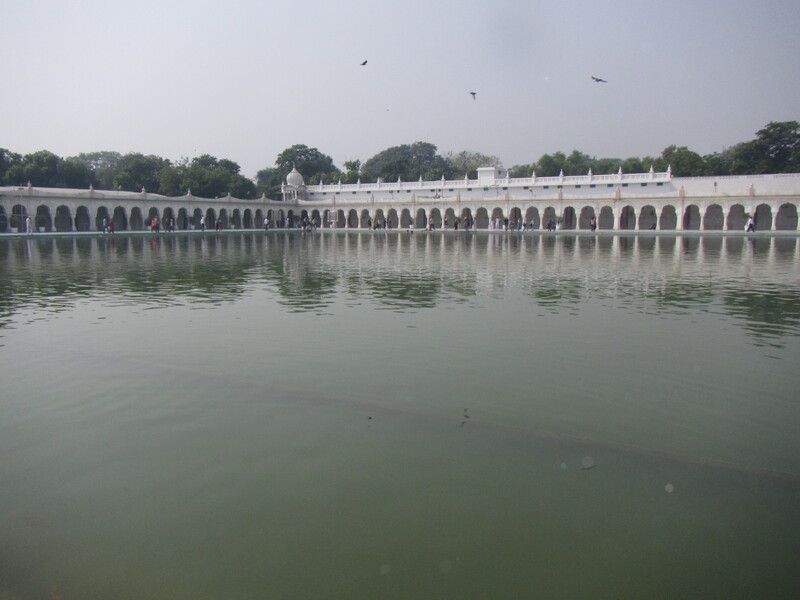 We then walked over to the large sacred body of water, filled with holy catfish, that many people bathe in to be blessed. 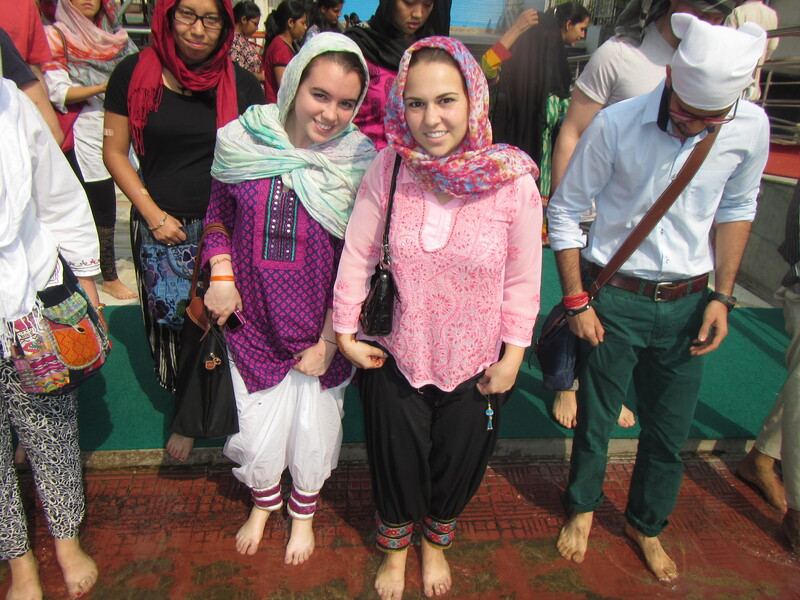 After we each trickled some of the water on our heads we made our way into the Gurudwara. After saying our prayer and being blessed with a flower, without turning our backs to the Gurugranthsahib, we slowly walked backwards until we reached sunlight again. We placed our blessed flower on the Sikh flagpole and were given Karah Parshad. 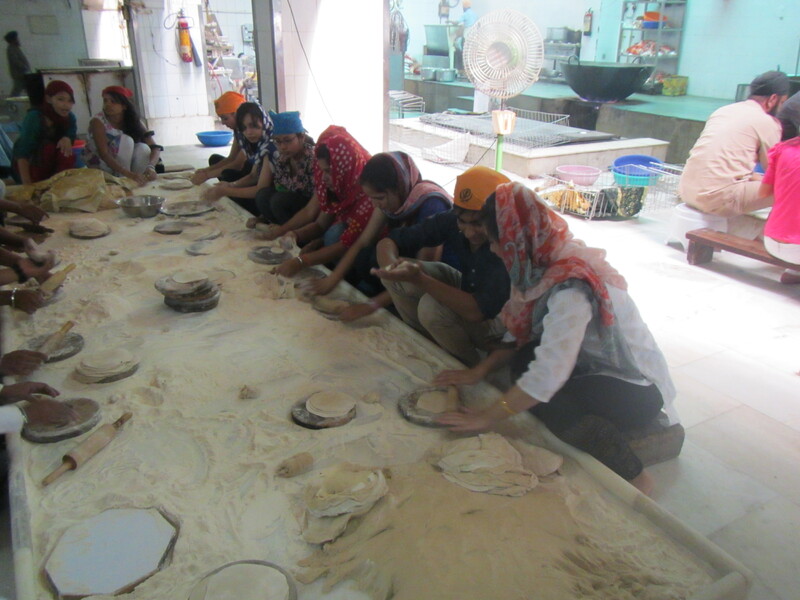 As part of the Sikh service, a communal lunch is provided for all those who choose to eat together and this would be the final part of our Sikh worship for the day. 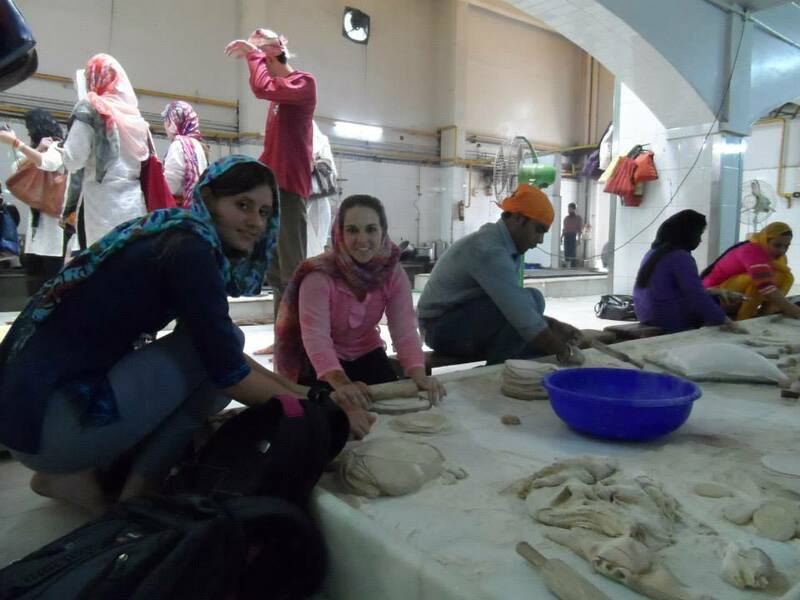 Jessica, an IES student showed us to the area where she volunteers and all of the food is made for the lunch. 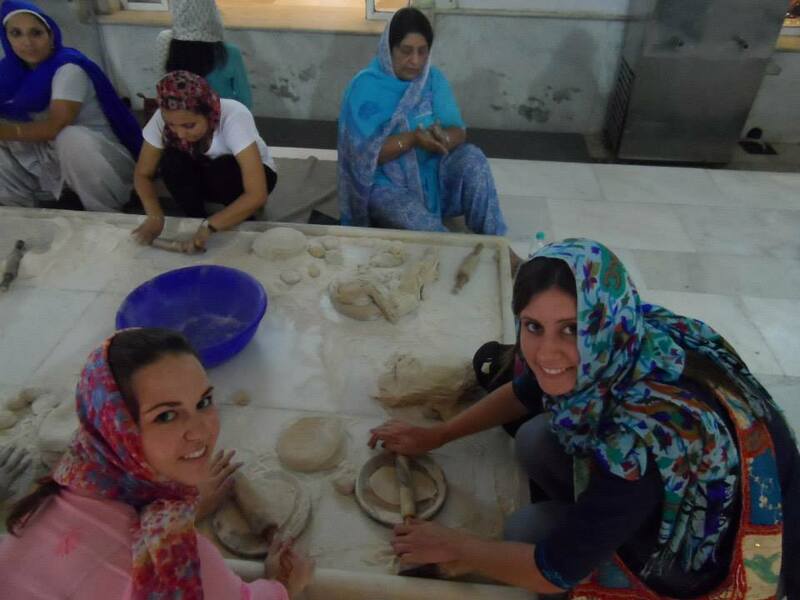 She even let us make some roti and I enjoyed it so much I chose to stay back and help instead of joining the group for lunch. When everyone was fed and ready to leave I was summoned and when I stood up my black pants were covered with flour. 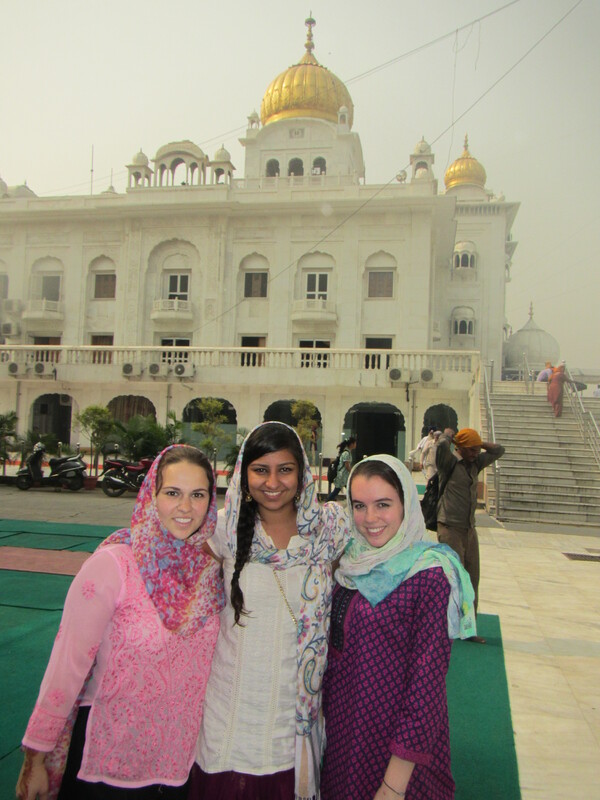 When we left the Gurudwara Bangla Sahib we were free until 7pm when we were coming together for a Babson Alumni dinner. 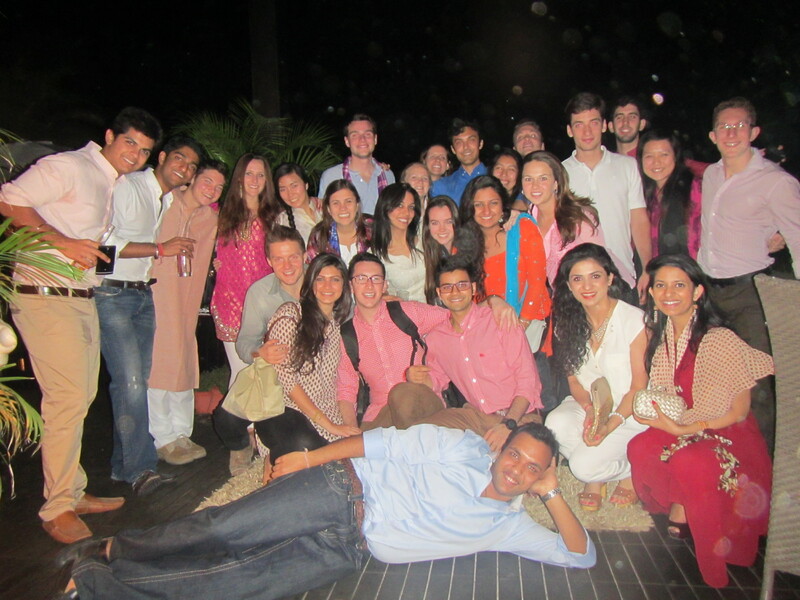 Kahaan hosted us at his beautiful home and about 30 other Babson alumni came, all of whom grew up in Delhi. The food was delicious; appetizers were two types of gnocchi and it was so nice to have pasta after so long. I was full by the time the main meal was ready but it was served buffet style off of their dining room table. 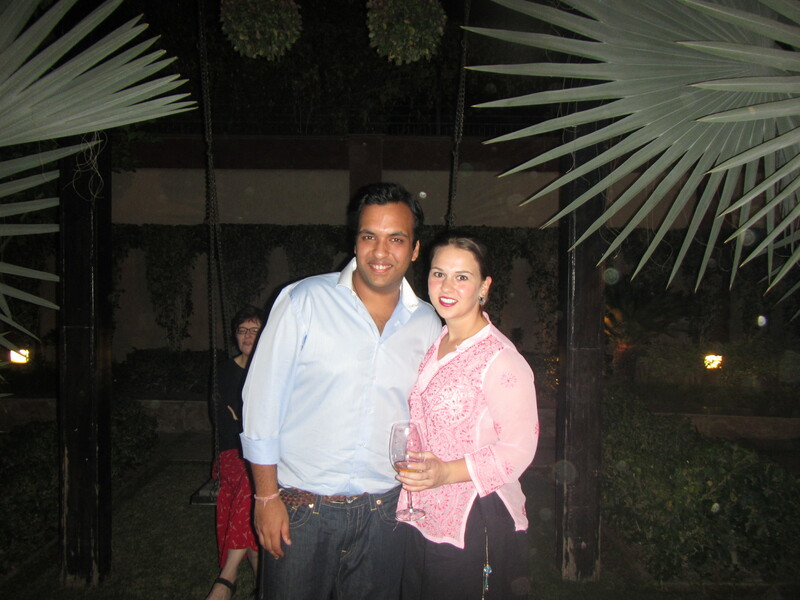 The house was beautifully decorated and the grounds were magnificent. I got to see many familiar faces and meet lots of new people and the night was a blast! 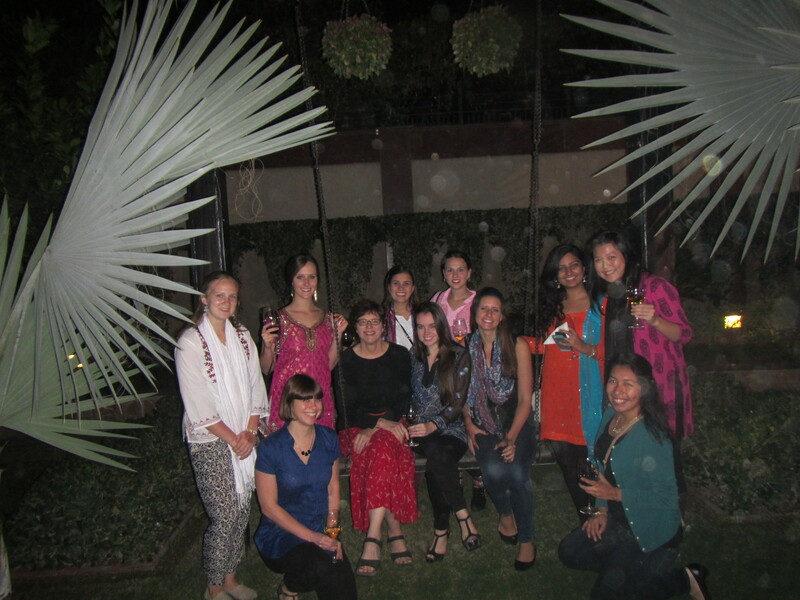 Thank you Kahaan for hosting us, it was wonderful!